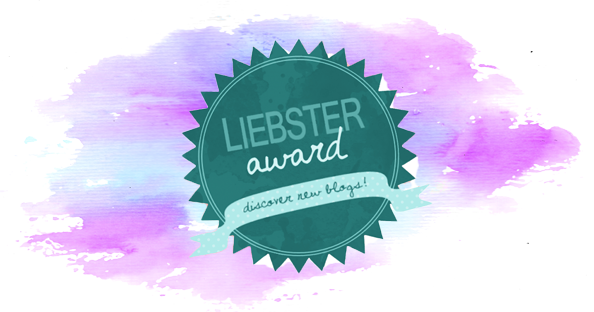 I woke up the other day to find that I was once again nominated for the Liebster Award. This time by the lovely Susanne of With Surprisingly Little Information About Flowers. You can check out her Liebster Award here. Then I woke up the other day to find that I had be nominated again by the lovely Daisy of Daisy Hudson. You can check out her Liebster Award here. Thank you lovely ladies so much for nominating me! Today I'll be answering both of their 11 questions and nominating some other bloggers as well. Make sure you check out their blogs and their Liebster posts! 1. If you were an animal what would you be? Honestly I think I'd be a cat. I love to be alone and dislike interacting with humans. 2. Quiet night in or big night out? Quiet night in. I don't like "nights out"
No one really. I wouldn't really want a movie about my life. I love my creativity. I'm so proud of my blog and the graphics I've been making and the art I've started to do. 5. What do you think is the worst word in your native language? There are so many terrible english words! I hate the word moist but its the worst. I'd probably have to say that the racial slurs/LGBTphobic slurs. Just cheese. I like the taste of pepperoni but I hate the texture so I pick it off if the pizza had it on it. I'm super boring. 7. What are your #aesthetics? My blogs aesthetic is marble, copper, black, blue and purple. I love marble and copper! My clothes are mostly black and nerd shirts. And tan or black shoes and bags. 8. If you had a cheap pick-up line, which would it be? "If I open my Gryffindor, would you Slytherin?" or any other HP pun. I am a giant nerd. 9. What was the last thing you bought online? A Marquee Lightbox. I got it on amazing and I may be using it a little too much for my blog photos. 10. What was the sweetest thing anyone has ever done for you? Honestly the only thing in recent memory is when I was visiting my dad for a week he goes to McD's every morning for coffee before work and he surprised me with a Hot Cocoa and fresh donuts from a local bakery on his way to work. 11. Why did you pick your blog URL? My online handle is ZombieGoddessxi because it is my gamer handle. So when I wanted to rename my blog from just my name last year I decided on ZombieGoddess to match my username and Beauty because it was my main/only focus at the time. At the moment probably Rick and Morty. I don't watch much TV anymore. Just R&M and The Walking Dead mostly. I re-watch a lot of old favorites that aren't on anymore. 2. If you could only use one makeup item for the rest of your life, what would it be? MAC Ruby Woo lipstick. Just lipstick might look a little weird but I can't live without lipstick. 3. What is your go to pamper night routine? I love doing masks. I love sheet masks, peel masks and wash off masks. 4. What is your favorite holiday destination you've been too? I've never really been on Holiday. Just trips to visit family. But during every trip as a kid to visit my grandparents we went to Myrtle Beach and it is quite nice. 5. Do you have an all time favorite makeup brand? 6. Whose blog was the first that you read religiously? Dorkface! I are Jemma's blog and other content so much! Blog wise I love to read just about anything from Lifestyle to deep life posts to makeup and beauty. Book wise I love to read magical books like Harry Potter and murder mysteries. 8. What are your goals you want to achieve by the end of 2017? My biggest ones was to upload 100 blog post in 2017 which I did last month! I want to keep uploading blog content I'm happy with and enjoying my blog. I also really want to dye my hair a crazy color by the end of the year. I've had all the natural hair colors at one point in time. Now I want something like blue or purple. 9. Do you prefer Instagram or Twitter? Twitter. There is more interaction and I like just text posts as much a photo posts. 10. Do you have any pets, if so what have you got? Growing up we had 17 pets all at once. One of which was a chicken that was kept in the house. Now I've got a guinea pig who is surprisingly 4 years old. Her name is Marie. And I have a water turtle named Wilbur. I've had him since I was 7. I named him about the pig in Charlotte's Web. 11. Are you a minimalist or a hoarder? I'd like to say I'm somewhere in the middle but I save every makeup product box I get and I tend to hoard empty shampoo and conditioner bottles like the apocalypse is coming and I'll need the final few drops in each bottle. 1. What is the best gift you have ever received? 2. What do you use to take and edit your blog photos? 3. What is your favorite song/songs right now? 4. Is there a beloved TV Show that you don't like? 5. Describe your blog in 3 words or phrases. 7. What do you daydream about? 8. If you could change your name to anything would you? And if you did what would you change it to? 11. Do you have any hidden talents? Thanks so much for reading about this blog award! Thanks again to Susanne and Daisy for nominating me! Make sure you check them out! And check out my nominees too! Photo credit: I added the badge background to go with my blog's theme. If used please credit and link to this blog.